It's the last STAMPlorations sketch of the year, and it's running until 28 December, so you've got loads of time to play along. Because it's an extended challenge, you can enter this one more than three times, and Shery's throwing in a couple of extra prizes - a $5 gift certificate to one participant, and a $10 gift certificate to a participant who uses a STAMPlorations image, both randomly selected. I saw baubles in the sketch, so I stamped and white-embossed the text on a piece of card, sponged Pickled Raspberry, Mustard Seed, Salty Ocean and Dusty Concord all over, then cut out three circles. I added some silver parcel string (took me ages to tie those tiny bows!) 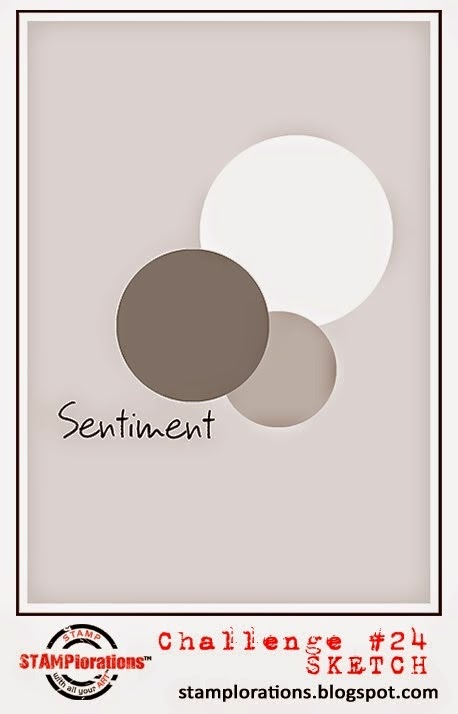 and a silver die-cut sentiment. You could make a masterboard with this design, then cut out loads of circles for quick card makes (maybe without the bows!). Pop on over to the STAMPlorations blog for loads of fabulous inspiration from the team, and from our guest designer, Julie of Handcrafted by Jules. I just adore this stunning creation and what a simple and easiest technique you have used, a festive and cheerful creation!!!! Be still my heart - those colors! These are lovely non traditional Christmas colours. I will try to do something like this. I adore this card, Shirley! From the purple card base to the super artsy baubles to the adorable bows right down to that silver die-cut sentiment -- love everything about it! Love this card Shirley....Those ornaments are so pretty! Awesome colors on your modern baubles! Absolutely amazing colors!!! And I love the white print on the ornaments! Shirley...you make it seem so easy to achieve these amazing results! Once again, a stunning mix and flawless blend of colors that are displayed beautifully against the vibrant purple backdrop! Another gorgeous card, Shirley! 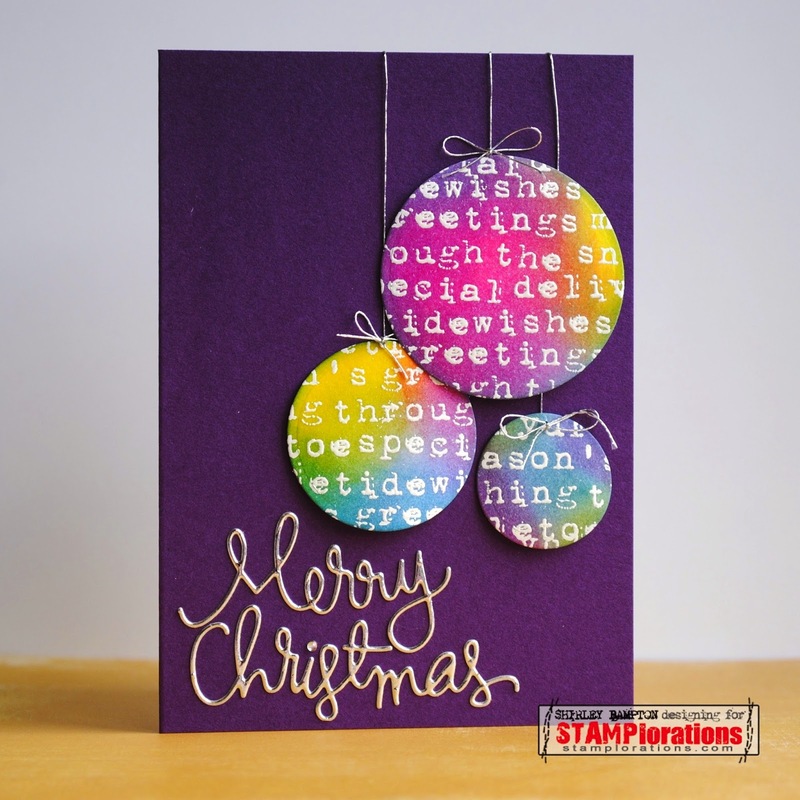 Your baubles look so pretty with all those lovely colors and I love the purple card base! Your colored ornaments look wonderful against the purple Shirley!